i would drop Waterknot for Spell Pierce . 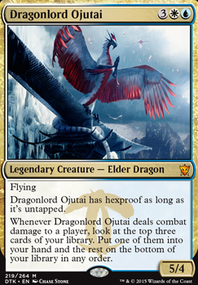 every deck has a non creature target, and creature heavy decks generally have a powerful target. Curious Obsession is the best. Boomerang is great for this deck too. 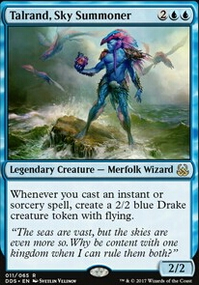 i would drop the non merfolk cards for merfolk. that way you have the option to use Bident of Thassa and block. Thanks for the feedback, honestly Tome Scour was just filler cause I didn't know what else to put in the deck. I've replaced them with 2x Boomerang for more mainboard removal and 2x Hieroglyphic Illumination for some easy card draw. I suggest playing more 1 mana faeries ( Zephyr Sprite ) instead of Opt/Anticipate/Telltime to make sure you have a turn 1 play to set up for a t2 Spellstutter or Quickling. Eight 1-drop faeries is the minimum imo since if you're playing the tempo plan you want Spellstutter to be ready to counter something on turn 2 every time. It's also important to have little dudes to start chipping in early on, a couple points of dmg in the first turns can often mean the difference between winning and losing later. The main looks good other than that. Have you thought of trying out Boomerang or Familiar's Ruse ? They're both pretty neat. In regards to the sideboard, you need Negate . Neither J's Defeat nor Flashfreeze can counter black spells, and black has some of the best removal in the format (which are played enough for you to worry about). They also can't counter Liliana. If you don't like Negate, Spell Pierce is also a good option since it's cheap. Darth_Savage First of all, thanks for such an in-depth reply. I can really appreciate feedback that involved more than 5 seconds of thought. Let me try to address some of the feedback you gave me, and give you some insight into some of my choices. Let me preface this by saying that I haven't really done much with this deck in at least a year. As the sideboard meta in modern shifted more heavily towards artifact hate (due to Tron, KCI, Lantern, and others), any/all variations of lantern control went right down the toilet. So with that said, I became okay with the fact that this deck was going to be more of a casual fnm homebrew than a competitive netdeck variant. 1.) " Ghostly Prison or Norn's Annex aren't Ensnaring Bridge, but they would offer some protection." -True. However, simply put.. they are just less effective Ensnaring Bridges, attempting to do the same thing, but not as well. The whole point was to move this deck away from relying so heavily on a stall tactic like Ensnaring Bridge . 2.) "Your other options are fogs Holy Day / Ethereal Haze , these only stall a turn, or you could try bounce Boomerang / Vapor Snag , lastly there is Silence ." 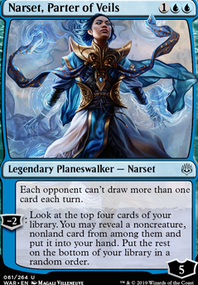 -Again, you're not wrong when you think along the lines of "stalling", but when you try to think about how to manage a lantern deck without a heavy stall mechanic, then you start to realize that none of these are good options. Not only do they just fall far short of what Ensnaring Bridge would effectively do for me, but they essentially try to offer me the same win con. Think outside the box. Not.. what else could I do instead of Ensnaring Bridge?, but rather.. what else could I do instead of stalling the game? 3.) " Glint-Nest Crane , this is 2 mana, compared to Ancient Stirrings , Faithless Looting or Serum Visions , the fact it has a body is less relevant than the extra cost." -100%. 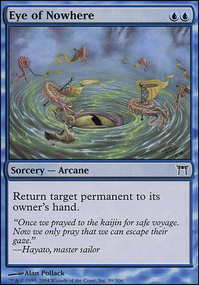 However, one of the biggest challenges with Modern Lantern is that their mana base is far too greedy. After 15+ years of playing this game, I have found dual color decks to be the sweet spot for most mana bases, and prefer to keep my decks there. Now, while Serum Visions is a nice 1 mana cantrip that fits my colors, I believe that the Crane offers me more versatility. A body to block, a creature with a form of evasion, and helps me to dig deeper for my win con. Keep in mind that my 1 mana slots are plentiful in this deck, it is not as if I am missing out on many turn 1 drop opportunities. 4.) "You could run a finisher Indomitable Archangel / Bastion Inventor / Myth Realized or go wide Monastery Mentor " - Bastion Inventor is the only suggestion here that stands out to me as something I hadn't thought of. It doesn't really fit the theme of 5/5's bashing you in the face, but it would certainly make for a nice sideboard threat for when my opponents think they have me on lock. The rest of your suggestions again don't fit my manabase, which I already addressed earlier. 5.) " Whir of Invention would also help you find your Darksteel Citadel or lock." -This is a suggestion I have struggled with a lot. 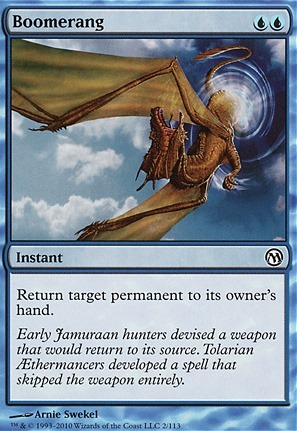 The lantern community as a whole swears by this card, and albeit.. with good reason. And perhaps that is why I have my reservations when it comes to this card. I strive to make a deck my own. Not to copy pasta what others have done. 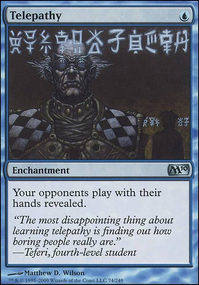 My biggest concern with this card is how it negatively effects the manabase. UUU is just not a good mana cost for a deck running 6 colorless lands. It's why most Whir Lantern decks have cut Ghost Quarter or Inventors' Fair . And finally.. 6.) "your deck is suffering from a clash between the control nature of Lantern and the aggro nature of Ensoul Artifact" -I don't entirely disagree with you, however, this was the purpose of the deck from the get go. The big question for me has always been.. how do I turn slow lantern into aggro lantern? I concede that the very nature of lantern IS slow and controlly, but.. I am the type of player to think outside of the box. If there is a way to make it happen, I will find it. And even though this deck has been put on my back-burner for a while, I am sure I will revisit that very question again ...eventually. I can respect your dislike of Ensnaring Bridge, I primarily play a Hollow One aggro deck (Power 4 is Ferocious) and Bridge is the pits, it's one of the cards that drive the aggressive turn 4 play-style of Modern... That being said, part of the modus operandi of control is controlling the board state, or at least stalling it. Ghostly Prison or Norn's Annex aren't Ensnaring Bridge, but they would offer some protection. Your other options are fogs Holy Day / Ethereal Haze , these only stall a turn, or you could try bounce Boomerang / Vapor Snag , lastly there is Silence . Upping the threat count, especially when that threat is less efficient like Tezzeret's Touch is rarely the correct answer for a control deck. You could run a finisher Indomitable Archangel / Bastion Inventor / Myth Realized or go wide Monastery Mentor , if you want to close out the game quicker Whir of Invention would also help you find your Darksteel Citadel or lock. I get the feeling that you want to play a control deck, but don't actually like playing control, if that makes sense? Decks tend to perform better if they have a clear concise goal, in effect synergy, your deck is suffering from a clash between the control nature of Lantern and the aggro nature of Ensoul Artifact. I hope this comment is helpful and I wish you luck brewing your deck.